NVIDIA Home > Support Home Page > Knowledgebase Home Page > Question: How do a determine if I am running Windows Vista 32-bit or Windows Vista 64-bit? 2. Under System and Maintenance select "Get Started with Windows"
3. Near the top right of the new page select "Show more details"
4. 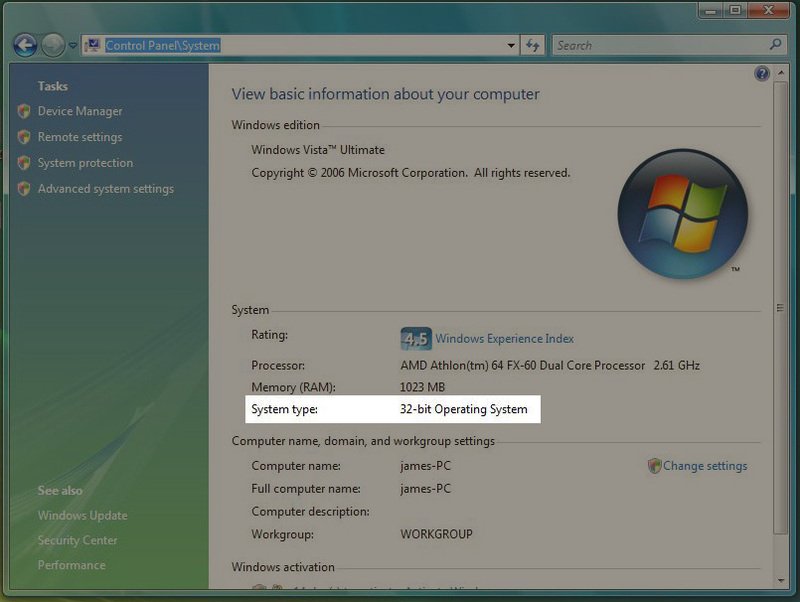 Under the "System" section of this page, the "System type" entry lists the version of Windows Vista currently installed. 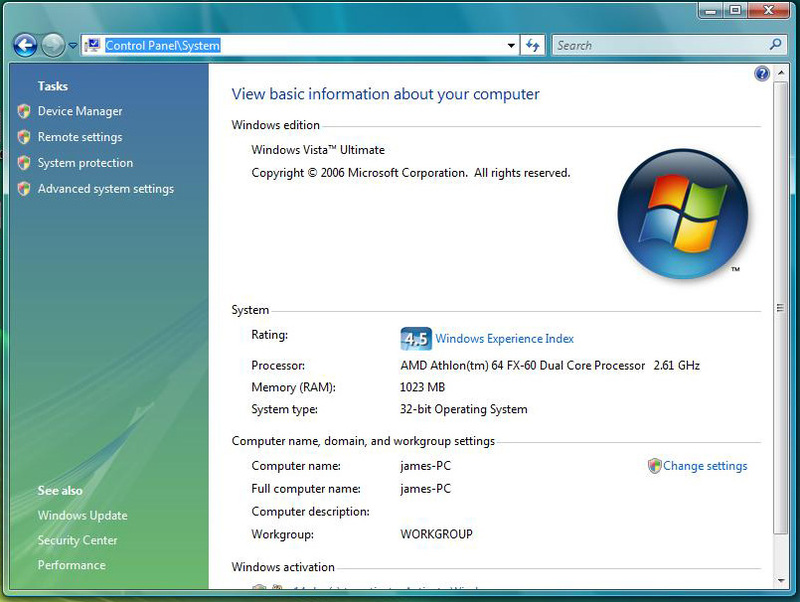 In the picture example below, this user is running Windows Vista 32-bit. Note if you are running the "Classic View" of the Windows Vista Control Panel, you can get to the same screen by selecting "System,"
Can I still access the NVIDIA classic control panel under Windows Vista?